Michael has been the Managing Director of Christie Civil since its inception. 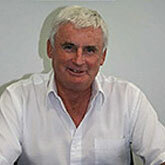 Michael graduated from the University of NSW with a degree in Civil Engineering in 1974. At just 26 years of age, Michael was appointed State Manager of Christie Civil. Since then he has masterminded Christie Civil’s current position as one of Sydney’s most respected civil contractors. Since completing his degree at the University of NSW in 1980, Martin has worked in mines, roads, water and wastewater treatment works, excavation and general civil engineering works progressing from site engineer to manager of his division. Martin has developed his expertise in all types of Civil Engineering construction during his fifteen years with Christie Civil. 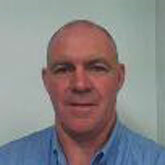 Martin has also been closely involved in the development of the company management systems. 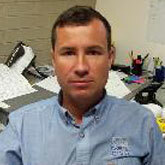 Colin has been with Christie Civil since 2004. 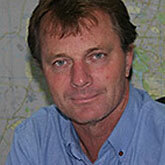 Colin began his career after completing a Civil Engineering degree at UTS. After working in design and construction of civil works, both here in Australia and overseas, Colin joined Christie Civil where he now heads the tendering department. Colin’s experience allows him to offer sound technical advice on a range of engineering and construction planning issues. Greg graduated from UWS with an Engineering Degree in 2001. He then worked for a structural design consultancy before joining Christie Civil in 2005. During his time with Christie Civil, Greg has worked as site engineer on major projects, managed our Quality, Safety and Environmental Systems, and assisted with the tendering department. Since elevation to his role as Project Manager, Greg has successfully completed many major projects including the Bathurst Hospital Redevelopment civil works, Upper Nepean River Environmental Flow Upgrade and Frasers Central Park, Broadway development. Greg is able to use his experience and detailed understanding of design to resolve construction issues and provide cost effective alternatives for structural and shoring components of projects.